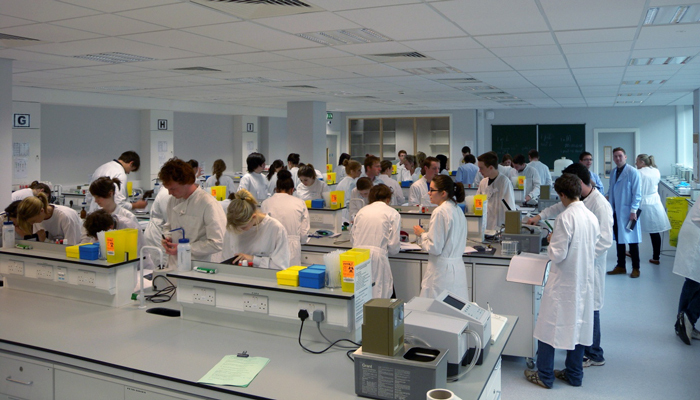 Undergraduate Courses The School offers undergraduate programmes in Biochemistry, Immunology and Molecular Medicine and administers the undergraduate programme in Neuroscience. We also provide courses to students taking degree programmes in Human Health & Disease, Science, Medicine, Dental Science, Pharmacy and Radiation Therapy. Biochemistry Students on this course will learn about the molecular basis of life. Within our School the scientific questions explored cover a wide range of topics including cancer biology, obesity, diabetes, neurobiology, neurodegeneration, autoimmunity, parasitology, immune-metabolism, protein structure and drug development. Immunology In the Immunology degree, students will learn about all aspects of Immunology: from the cells and molecules of the immune system and how they carry out their jobs in particular diseases through to what happens when the immune system goes wrong and actually starts to attack our own bodies, as seen in autoimmune diseases. Molecular Medicine This course is a unique collaboration between the School of Biochemistry & Immunology, Trinity Biomedical Sciences Institute (TBSI) and the Dept. of Clinical Medicine, St. James’s Hospital. Neuroscience This course links neurobiology with cognitive science and involves in-depth instruction in the fundamentals of modern molecular and cellular biology, as well as on the structure and operation of the nervous system. Find out more about our undergraduate international exchange programmes.